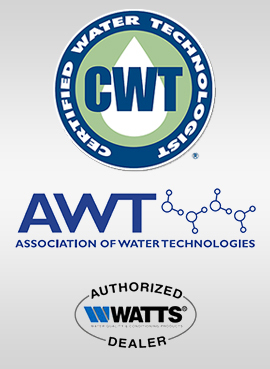 Cannon Water Technology, Inc. is one of the leading suppliers of the chemical feed systems. We offer a wide range of chemical pumps, which are designed for applications that require high precision for chemical dosing. We provide different types of chemical pumps, including positive displacement (PD) pumps, which are distinguished on the basis of their operation. Positive displacement pumps are developed especially to move fluid at a steady rate through a system. These pumps do not have impellers, instead depend on rotating parts or mechanically actuated pistons attached to a diaphragm to pull and push the liquid, until enough pressure is built up to move the liquid into the discharge system. Positive displacement pumps are popular in many industries due to the presence of shear sensitive chemicals, high viscosity chemicals or need for high pressure pumping applications. These pumps are distinguished on the basis of motion used for dispensing chemicals, namely peristaltic type rotary pumps or reciprocating diaphragm style pumps. 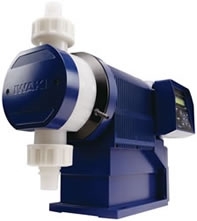 Diaphragm Pumps: A diaphragm pump, sometimes called as a electromagnetic dosing pump or mechanically actuated diaphragm pump, utilizes the check valves or flapper valves and reciprocating action to transfer liquids. These pumps are ideal for your fluid handling requirements as it offers several benefits such as high pressure dosing, self-priming options and steady fluid transfer. These pumps can be operated by simply arranging liquid discharge setting and the air inlet pressure. Peristaltic Pumps: Peristaltic pumps, also known as tubing pumps, are designed to carry fluids of various types. These pumps are excellent when feeding chemicals that have issues with off-gassings like chlorine, sodium hypochlorite, hydrogen peroxide, and peracetic acid. In fact, diaphragm pumps have great lift capabilities. In recent times, we have supplied these pumps to the various process industries for applications such as pharmaceutical processing, food and beverage, industrial chemical pumping and many more. Motor- Driven Metering Pumps: These pumps are designed to offer accurate dosing under high-pressure conditions or when continuous chemical feeding is required. 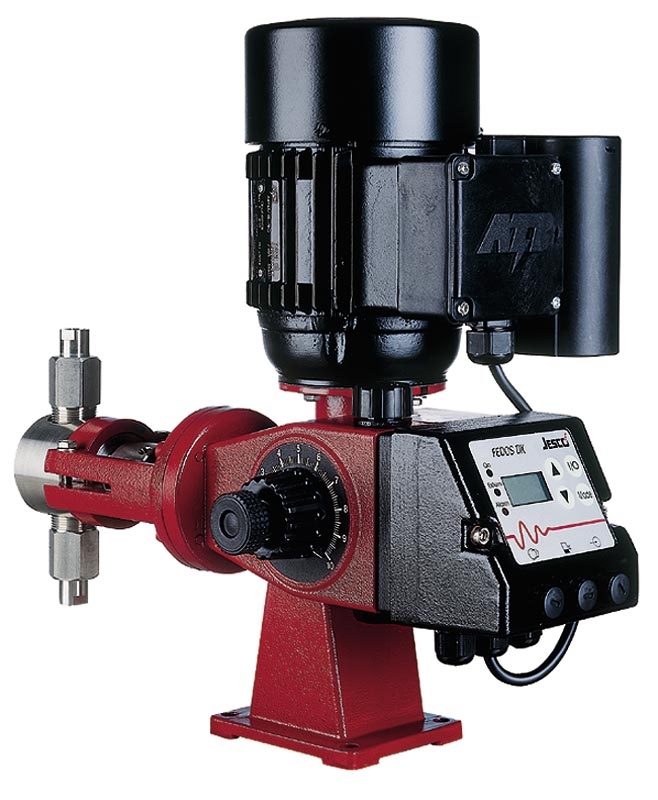 These pumps have the capability to handle many different chemicals, acids, and corrosives. 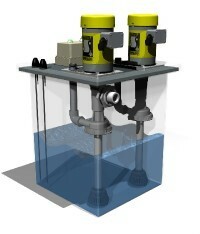 High output capable models can deliver hundreds of gallons per hour. More to this, they can manage additives in plastic manufacturing, disinfectants in potable water treatment and many more. Lutz Jesco MEMDOS DX is one of the best motor-driven metering pump offered by us for the applications that require tremendous external control. Equipped with speed control feature, the Lutz Jesco eliminates the need for additional variable speed controllers. Pulsafeeder’s OMNI Series Chemical Metering Pump also comes in this category. 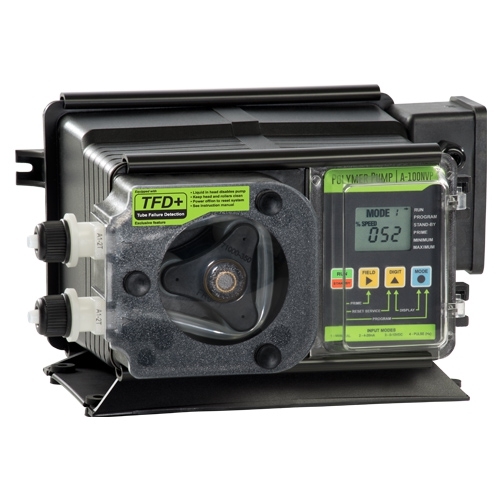 They are a reliable alternative for the customers who are looking for compact diaphragm metering pumps. Being a leading supplier, Cannon Water offers a wide range of quality products at affordable prices. Our strong adherence to quality standards has helped us build a list of satisfied and happy customers, who want to continue this relationship for their future work also. Experts at Cannon work closely with customers and recognized for their quick deliveries. Moreover, experienced experts will guide you to choose the proper chemical pump as per the requirement. Still, if you have not cleared or had any doubts then we are here to serve you.